The demand for high definition and power efficient low-temperature polysilicon (LTPS) display backplanes is rising to be the foremost differentiator for mobile devices such as smartphones and tablets. LineBeam systems are the enabling technology for mass manufacturing of LTPS backplanes on large substrate panels with the highest yield. 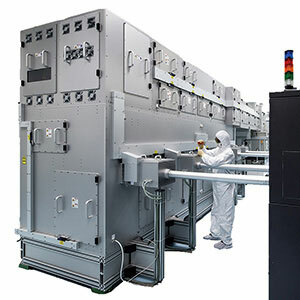 308 nm excimer laser annealing enables market growth of faster, brighter, thinner and more lightweight AM-LCD and AM-OLED flat panel devices relying on high electron mobility.